Harry Bates, popular swimming teacher dies. No struggle for muslim women, in swimming classes. Goole Amateur Swimming Club, 100 years! Sanna Öhgren och Sara Crifält, satsar på simning. Going to San Francisco this summer, here is your beach guide. Amanda Beard, picture from icpin.com. Stumbled upon Ohio State University´s quite new The Bill and Mae McCorkle Aquatic Pavilion while reading post in colleceswimming.com´s board. Someone was wondering how OSU could recruit such big class this year and someone answered “..look at the pool…”. Poster is quite right, this is very nice place for some training. 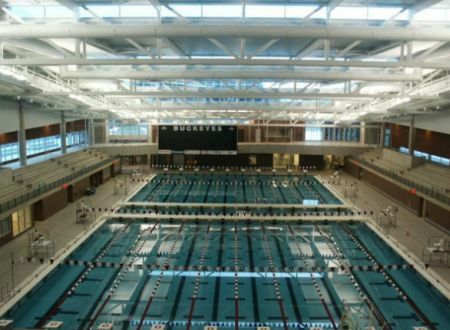 OSU swimming, diving and syncro teams use this as their practice facilty. It also serves as student rec center. They have quite a choice of different lanes : 10 lanes of a 50 meter, 20 lanes of a 25 yard and 28 lanes of a 25 meter racing course. Syracuse University will drop its men’s and women’s swimming programs after the 2007-08 academic year, two sources told The Post-Standard on Wednesday. The decision to end the university’s participation in swimming will coincide with the start of a women’s ice hockey team, the sources said. The elimination of the swimming programs marks the first time in 10 years that Syracuse University will cease participation in a sport. In 1997, Syracuse dropped wrestling and men’s gymnastics as scholarship sports. The second source mentioned the financial aspects of the decision. Currently, Syracuse swimmers train and compete in an antiquated pool inside Archbold Gym. The pool has six lanes and is just 25 meters long. An Olympic pool normally has at least eight lanes and is 50 meters long. 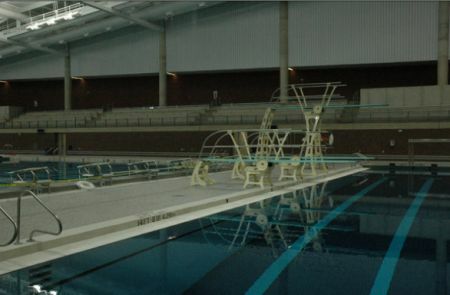 The source said a new natatorium would cost $35 million to $50 million to build. Jeux Olympiques des Petits Etats d’Europe – MONACO 2007. 12th edition for these Games, which are organised every two years. With 1200 participants and 800 volunteer not so small event. New Zealanders and Australians trust the same occupations, but different types of people. New Zealand’s 10 most trusted people include eight sportspeople. 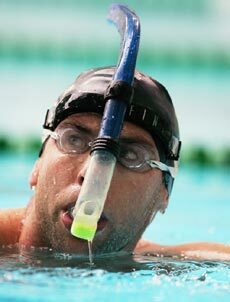 The first athlete on the Australian list is Olympic swimmer Grant Hackett, ranked 15th. But Australians hold their entertainers in higher esteem. Children’s stars the Wiggles are third on the Reader’s Digest list of most trusted people. New Zealand Herald compares the lists of most trusted people, both in NZ and Australia. 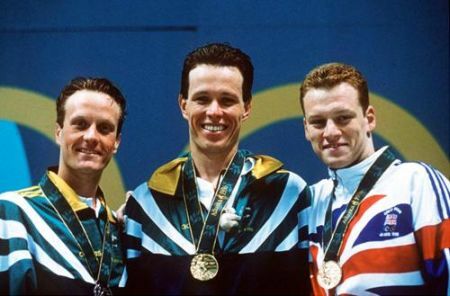 Australians Kieren Perkins and Daniel Kowalski win gold and silver in the 1500 metre freestyle at the 1996 Atlanta Olympics. image from minerals.org. University of Wisconsin is not in the top tier of college swimming, both men´s and women´s swimming team are both capable mid major programs. Now they are really investing in to coaching as it was yesterday announced that four-time Olympic gold medalist, Australian distance great Daniel Kowalski will join the coaching staff this summer. I´m thrilled to know what´s catch here? Why is Daniel suddenly going to Wisconsin? Does have some connections there or what? He is not the first former Aussie great in US college as Brett Hawke is coaching in Auburn, Alabama. More on Blog do Coach, insweep, timedfinals. You are currently browsing the Uinnista weblog archives for May, 2007.